Moken sea gypsies in Thailand have an extraordinary ability to overrule an automatic reflex of the eye which allows them to see with amazing clarity under water. But recent studies show that any child can learn this trick. One reason why the report seems superficial and incomplete is that it failed to attach true copies of essential navigational documents. As a rule, whenever a Navy ship leaves port for any destination, the path or course it is to take to reach its destination is set down beforehand on a maritime map, commonly referred to as a chart. This is required for those navigating over water and all Navy vessels, except small boats on short trips along a coastline or a river, must perform this basic task. The charted course is an official record of a ship’s movement and, together with the Quartermaster’s logbook that records the actual position, heading and speed of the ship at any time, will form an important part of any investigation involving that ship and its crew. The course a voyage will take is reviewed and approved by the ship’s captain before it is implemented. Any subsequent radical deviation from the charted course will, likewise, have to be approved by him. The record of the ship’s planned movement together with the actual path to its destination is also recorded electronically, which is convenient and easy to retrieve. When our government failed to assert its sovereign right to conduct an independent investigation of the incident, we effectively barred ourselves from gaining access to certain necessary records surrounding the incident. These records would have thrown light on many questions that the report seems to have glossed over. According to the report, the admitted destination of the ship was Timor-Leste. 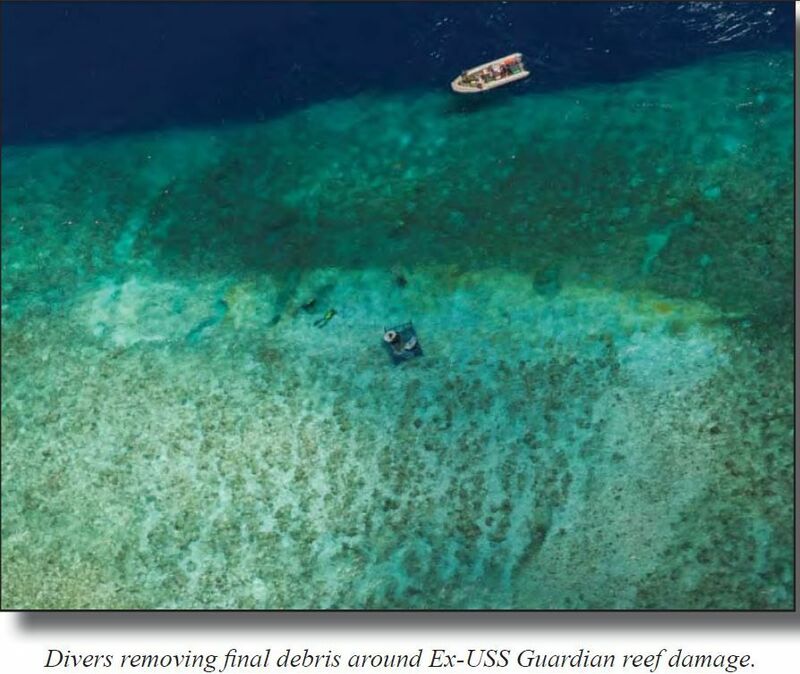 There was no mention of any stopover along the way, much less any intention to enter, with permission, the highly restricted and internationally protected waters of Tubbataha. 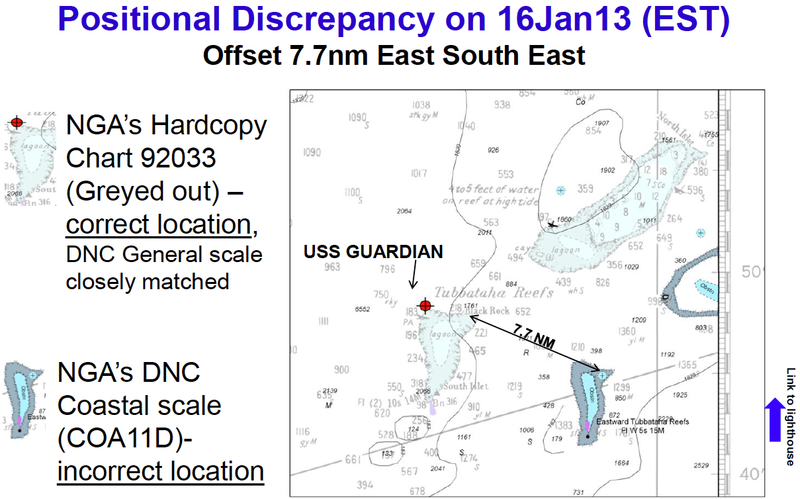 The CO onboard was aware of the discrepancy and chose the (wrong) more detailed chart (COA11D). which would have highlighted the chart problem. How would an “error,” attributed by the report to faulty digital maps, lead the Guardian deep into restricted waters of the Sulu Sea? Apparently, this will have to remain a mystery since the Philippine government has already inhibited itself from investigating the incident. 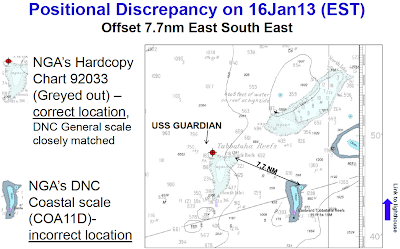 The unanswered questions go beyond what the report covers, which seems to confine itself only to questions of adequate leadership, navigational skill and accuracy of digital nautical charts (DNC). Okay then, let’s just ask a couple of questions that are among several that obviously need to be asked: Was it part of the mission of the Guardian to transit through restricted waters? If so, what clearance did it possess, and at what level was it granted? The reference to “heroic efforts of the crew to save the ship” merely underlines the studious avoidance by the report from discussing the critical questions involved. Finally, it would seem specious, at the very least, for the report to mention faulty digital maps at all. Navigational errors arising from the use of digital charts, which are based on multi-satellite projections, could not be in the order of “error” committed by the Guardian, which found itself scores of miles off course. In language surely clear to every maritime navigator, one could expect an error of “seconds to a degree,” which translates to only several hundred feet, at the most. But the all these hanging questions will remain in the air due to our own fault. In our dealings with China, with Malaysia, and more recently with Taiwan, we have adopted a posture that many would consider timorous and tentative, but which our leaders apparently regard as subtle, sophisticated and effective. Datacom and Land Information New Zealand (LINZ) today announced the release of an industry first mobile maritime application called ‘Hnotes’, which can be used to streamline the reporting process for hazards out at sea. Currently, mariners are requested to notify the New Zealand Hydrographic Authority at LINZ when new or suspected dangers to navigation are discovered. Mariners complete an online process and this information is then sent to a dedicated address that determines the immediacy of the response. A new smartphone app that streamlines the reporting process for hazards at sea is now available for download thanks to a collaboration between IT company Datacom and Land Information New Zealand (LINZ). 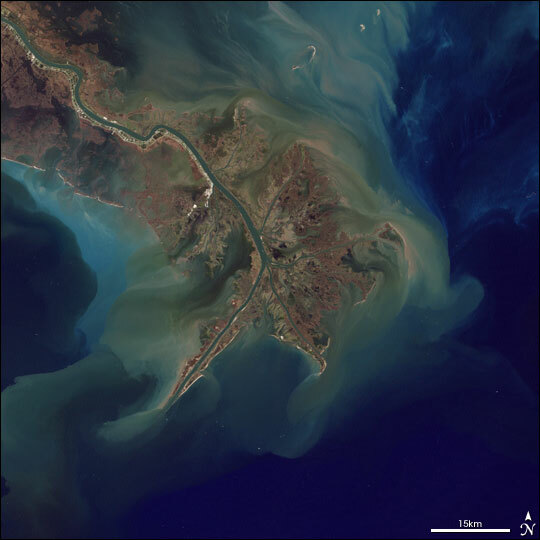 ‘Hydrographic Notes’ – or ‘HNotes’ – allows users to photograph hazards at sea, note the location, and send the information to the New Zealand Hydrographic Authority (NZHA) at LINZ to be reported to the maritime community. NZHA Manager Andrea McDonald is excited about the product, and the flexibility that it offers to mariners. “We encourage mariners to report hazards, and issues with charts or navigation, to the NZHA. However this is currently a manual process – limited by the need for mariners to return to land to report hazards either online, or by fax or phone. Developed by Datacom in consultation with the NZHA, ‘HNotes’ is the first cab off the rank in a number of planned LINZ smartphone applications. As part of the ongoing Datacom-LINZ partnership, the ‘Ideas and Concepts Forum’ Innovation programme has been developed to identify and develop industry-leading mobile applications. Datacom New Zealand CEO Greg Davidson says the mobile maritime app is the first of a suite of applications identified and designed through the Datacom-LINZ innovation programme, "The app has been designed to allow people to report hazards immediately on a multitude of devices using Apple iOS, Google Android and Blackberry." LINZ chief executive Peter Mersi says that, with the increasing popularity of smartphones and other mobile devices, it made sense to create apps like Hnote. "Everyone seems to have a smartphone these days, so it seems sensible to take advantage of this technology. "This app will enable mariners to report hazards and issues with charts or navigation to the NZHA while they’re still faced with them - rather than having to wait until they get back on dry land." The mobile maritime app can be used far out to sea, as it stores information locally until the user is back in range of a network. ‘HNotes’ is suitable for iPhone, iPad, and for Android devices on the Ice Cream Sandwich operating system and above. It can be downloaded, free of charge, from the Google Play or iTunes store. Unusually robust spring floods in the U.S.
Midwest are flushing agricultural runoff—namely, nitrogen and phosphorus—into the Gulf and spurring giant algal blooms, which lead to dead zones, or areas devoid of oxygen that occur in the summer. 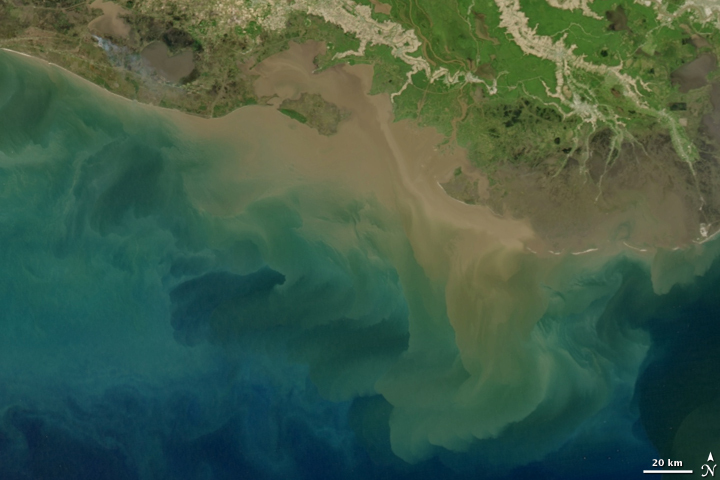 The forecast, developed by the University of Michigan and Louisiana State University with support from the U.S. National Oceanic and Atmospheric Administration, estimates a Gulf dead zone of between 7,286 and 8,561 square miles (18,870 and 22,172 square kilometers). The largest ever reported in the Gulf, 8,481 square miles (21,965 square kilometers), occurred in 2002. The second largest dead zone in the world surrounds the mouth of the Mississippi River in the Gulf of Mexico. Despite decades of efforts to clean up U.S. rivers and lakes, high nitrogen levels are currently combining with strong water flow to make that dead zone larger than it has ever been. A dead zone, which occurs in the oceans and Great Lakes, is an area usually in the bottom waters where there's not enough oxygen to sustain life. It's generally caused by algae stimulated by lots of agricultural nutrients in surface waters. When nutrients enter the water, [they] create an algal bloom. [When] the algae sink, bacteria start decomposing them, which uses up the [available] oxygen. During summer, what you have is a stratified water column that inhibits oxygen from the atmosphere getting down to the deep water. As the bacteria use up oxygen, it's not being replenished, so oxygen concentrations decrease until you get to two milligrams of oxygen per liter of water, which is bad for fish. Below that, fish that can will leave that area. Other organisms that can't [leave] die. Animals that live on the bottom. Worms, clams, the kind of things that fish like to eat. Some fish may have trouble. It's important because most often those areas that become uninhabitable by fish, are preferred habitat for fish. To draw on an analogy that's ironic, it would be like taking thousands of square miles of land in the Midwest out of production. To be honest, I was expecting that, mostly because of reports of massive flooding in the Midwest. The nitrogen and phosphorus in the floodwaters drive the problem. In recent history, the number of larger and more intense storms has been increasing—most climate models suggest storm intensity is going to continue. It's not really, because people in the area are not doing enough nutrient management—it was a dry spring. The amount of nutrients going into systems is really dependent on rainfall. The more water you get, the more nutrients you get going in there. The real management issue—regardless of whether it's a wet or a dry year—is you've got to keep the nitrogen and phosphorus on the land and not in the rivers. It's actually mostly controlled by the Farm Bill, the main funding mechanism for conservation in agriculture. The problem with the Farm Bill is there's far more money for supporting commodities and subsidies and not enough into conservation. I'm not blaming farmers—farmers do what the Farm Bill pays them to do—but we need a Farm Bill that's smarter and supports more conservation programs. There's a sense in the Chesapeake, Lake Erie, and the Gulf of Mexico that repeated dead zones are somehow making systems more sensitive to nutrients. For instance, the same amount of nutrient load now is producing larger dead zones than a decade ago. We think it has something to do with residual organic matter that's carried over from one year to the next, or from the changing types of organisms living in the ecosystem. compared to 305 in the 1990s, 162 in the 1980s, 87 in the 1970s, and 49 in the 1960s. In the 1910s, four dead zones had been identified. The key thing is they really have the potential to devastate the fishing industry—for instance, shrimp in the Gulf, walleye in the Great Lakes, and striped bass in the Chesapeake Bay. The solution is really to be more aggressive in dealing with pollution coming from agriculture. Instead it is becoming a scientific research ship, at least for the summer. The boat, a 30-metre, $17 million (Dh62 million) catamaran that was dreamed up by a Swiss eco-adventurer and bankrolled by a German businessman, will cruise the Gulf Stream studying the role of atmospheric aerosols and phytoplankton in regulating climate, under the direction of Martin Beniston, a climatologist at the University of Geneva. Last week, the boat stopped in New York City for a few days on its way north. The squat carbon-fibre craft, its wide and flat top deck dominated by the photovoltaic array, looked a bit out of place among the luxury yachts and other more conventional nautical playthings docked at a marina near the city’s financial district. In some ways the boat is suited to research. Being completely powered by the sun — the high-efficiency solar cells charge the batteries that power electric motors connected to the craft’s twin propellers — it produces no emissions of carbon dioxide or other gases that could contaminate air samples. And the boat has no problem going slowly, if necessary, as it samples the water — average speed is a sluggish 5 knots. “But clearly, it’s not a research vessel,” said Bastiaan Ibelings, a microbial ecologist at the University of Geneva who is working on the project. The catamaran had to be outfitted with research equipment, including a “ferrybox,” originally developed for ferries in the Baltic Sea, that constantly records the temperature, salinity and other characteristics of the water the boat is passing through. It also has a “biobox,” developed by the university’s applied physics department, which uses a laser to analyse the number and type of aerosols in air samples. The issue of ocean-generated aerosols — solid or liquid particles suspended in the atmosphere that can have an impact through cloud formation, reflection of sunlight and other processes — is a relatively new one in climate science, Beniston said. “We suppose that the ocean must be a fairly large contributor” of aerosols through the action of waves and wind, he said, but their abundance and how different types are distributed are fairly unknown. “Their exact role is still open to question,” he said. The Gulf Stream is one of the most intensely studied ocean currents in the world, but Beniston’s plan is to examine some of its smaller-scale structures. These include eddies, swirling offshoots of the current (which, although they are smaller in scale than the entire Gulf Stream, can still be 320km or more in diameter). Eddies tend to have more upwelling of colder, deeper water than the Gulf Stream itself, so one goal is to see whether different water conditions produce different kinds of aerosols. With his plankton research, Ibelings wants to see whether the water conditions in eddies result in greater or less biological diversity than elsewhere. The modifications to the catamaran — which also included new propellers and some remodelling of living quarters to provide work space for the researchers — were undertaken at a French shipyard after the boat ended its 19-month, 60,000km circumnavigation in May 2012. That voyage was intended more to demonstrate the general capabilities of solar energy than the practicality of solar-powered ships. “It’s an ambassador for solar energy,” said Gerard d’Aboville, Planetsolar’s current captain. Besides issues of cost and speed, Planetsolar poses some unique challenges. In addition to wind, waves and current, d’Aboville must constantly consider the amount of sunlight hitting the photovoltaic cells, with the goal of keeping the batteries as charged as possible in case of a long stretch of cloudy weather. This map (Adrena software) offers a three-day prediction of cloud cover. Captain d'Aboville explains that when plotting trips "usually we take care of the sea, of the wind, and of the current. But [here] we have to take care of the Sun." He adds, "usually we don't go from A to B… we try to avoid the clouds." He has a laptop computer on which he gets detailed, and constantly updated, maps from France’s national meteorological agency, Météo-France, showing the potential solar gain (calculated by taking into consideration cloud cover and other factors). If there’s a cloud on the horizon, he might decide to skirt it, figuring that he will gain more energy from the clearer skies than he’ll lose in making the detour. 3D visualisation of 'Britain's Atlantis'. Dr Tim Le-Bas, a sonar acoustics expert based at the National Oceanography Centre, translated the sonar readings into 3D high-resolution maps. He said: “These 3D high-resolution maps are the first time we have seen these buildings in 750 years. Not only can we see the remains of the town we can also measure how the coastal erosion has impacted the buildings over the centuries. "Working in the shallows of the North Sea was a challenge of a different dimension; I usually prepare 3D maps of ocean features several miles below the sea surface. Here the issue was that the water, although relatively shallow, was dirty brown due to lots of muddy particles in the water. It was impossible for divers to see the archaeological remains and thus we used ultra-high frequency sonar to view the features." 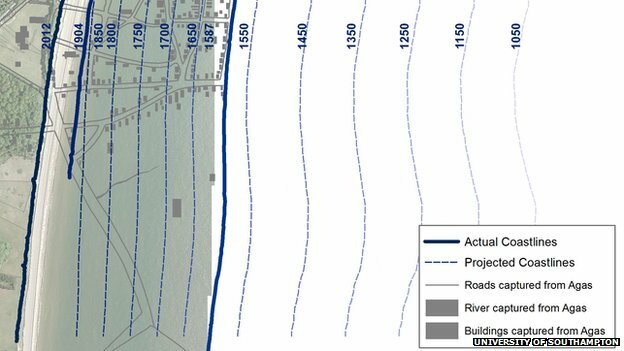 Funded and supported by English Heritage, and using advanced underwater imaging techniques, the project has produced the most accurate map to date of the town’s streets, boundaries and major buildings, and revealed new ruins on the seabed. The project was led by the University of Southampton’s Professor David Sear of Geography and Environment. Carved stonework captured using DIDSON technology. Everyone was surprised, though, by how much of the eroded town still survives under the sea and is identifiable. “Whilst we cannot stop the forces of nature, we can ensure what is significant is recorded and our knowledge and memory of a place doesn’t get lost forever." Professor Sear and his team have developed techniques that will be valuable to understanding submerged and eroded terrestrial sites elsewhere. Present day Dunwich is a village 14 miles south of Lowestoft in Suffolk, but it was once a thriving port – similar in size to 14th Century London. Extreme storms forced coastal erosion and flooding that have almost completely wiped out this once prosperous town over the past seven centuries. This process began in 1286 when a huge storm swept much of the settlement into the sea and silted up the Dunwich River. This storm was followed by a succession of others that silted up the harbour and squeezed the economic life out of the town, leading to its eventual demise as a major international port in the 15th Century. " "It now lies collapsed and in ruins in a watery grave, three to ten metres below the surface of the sea, just off the present coastline. 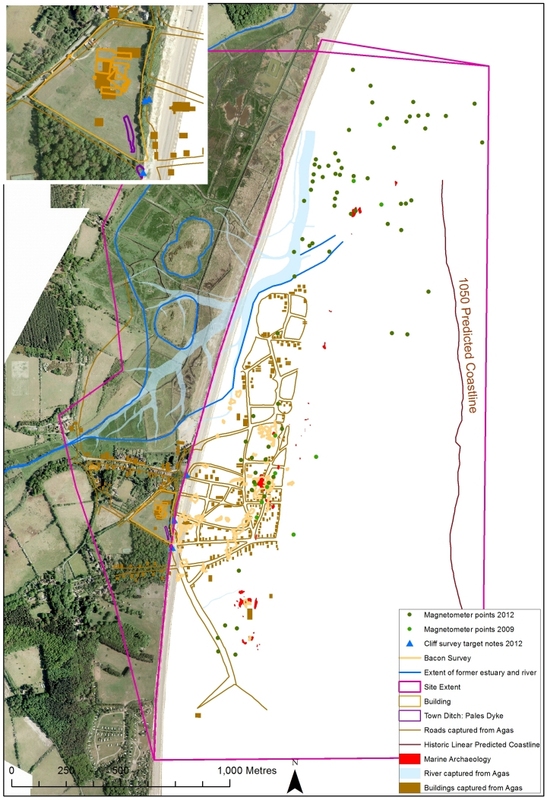 The project to survey the underwater ruins of Dunwich, the world’s largest medieval underwater town site, began in 2008. Six additional ruins on the seabed and 74 potential archaeological sites on the seafloor have since been found. Commenting on the significance of Dunwich, Professor Sear says: “It is a sobering example of the relentless force of nature on our island coastline. It starkly demonstrates how rapidly the coast can change, even when protected by its inhabitants. “Global climate change has made coastal erosion a topical issue in the 21st Century, but Dunwich demonstrates that it has happened before. The severe storms of the 13th and 14th Centuries coincided with a period of climate change, turning the warmer medieval climatic optimum into what we call the Little Ice Age. New data show 88 million Americans expected to take to U.S. waterways this summer. The National Marine Manufacturers Association (NMMA), announced that recreational boating in the U.S. has an annual economic value of $121 billion. The industry’s rising tide supports 964,000 American jobs and 34,833 businesses, generates $40 billion in annual labor income and drives $83 billion in annual spending. The NMMA, on behalf of the U.S. boating industry, released these findings as part of its annual U.S. Recreational Boating Statistical Abstract, a collection of data and analysis on the state of the U.S. recreational boating industry. Retail sales of new power and sailboats increased 10.7 percent in 2012 to 163,245, demonstrating a post-recession recovery for the industry. (Note that this number includes inboard, outboard, sterndrive, jet and sail boats). New powerboat (inboard, outboard, sterndrive and jet boat) sales increased 10 percent to 157,300 in 2012. Small fiberglass and aluminum outboard boats 26 feet or less in size, continued their upward climb with an 11.3 percent increase in the number of new boats sold. Outboard boats are the most popular type of new powerboat sold, making up approximately 82 percent of the market. Ski and wakeboard boats are seeing healthy growth with an increase of 13.4 percent new boats sold in 2012. Jet boats, which are small fiberglass boats less than 26 feet in length, are a growing category. Of the 157,300 new powerboats sold in 2012, 4,500 were jet boats. New jet boat sales increased 36.4% in 2012. Sales of new powerboats have remained steady during the first half of 2013 and continued growth is expected with the summer boating season. NMMA anticipates sales of new powerboats to grow five percent in 2013. “Summer is a peak selling season for recreational boats, accessories and services throughout the U.S. as people look for ways to disconnect from the daily grind and enjoy fun times on the water, “ said Thom Dammrich, NMMA president. Of the estimated 232.3 million adults in the U.S. in 2012, 37.8 percent, or 88 million, participated in recreational boating at least once during the year. This is a six percent increase from 2011 and the largest number of U.S. adults participating in boating since NMMA began collecting the data in 1990. Recreational boating participation has steadily increased since 2006. Growing participation is a priority for the recreational boating industry as it drives new boat sales. Boat manufacturers, dealers, marinas, and other marine organizations joined together to form Discover Boating, a consumer program to grow participation and create a positive boating experience. The North American effort provides resources to help those interested in boating get started and promotes the fun of the boating lifestyle through a national marketing campaign. 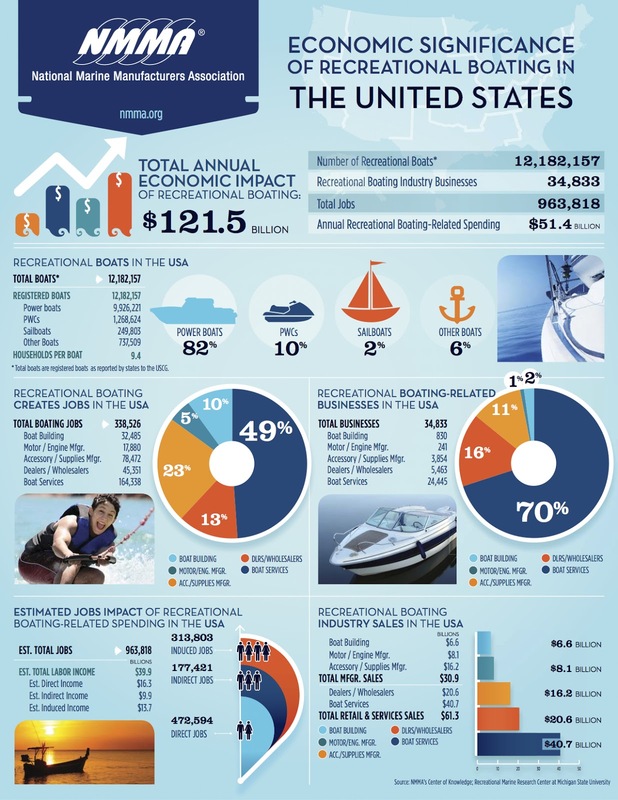 Total U.S. 2013 Economic Value of Recreational Boating Booklet distributed at the 2013 ABC. Source: The NMMA’s economic value report on the U.S. and by state, and congressional districts within each state, can be found within the Statistics section’s Research Library on NMMA.org. 12th of April at Shipstern Bluff, Tasmania.